If you were a fan of The Jetsons cartoon, you probably marvelled at the home automation features that George Jetson and his brood enjoyed. While we may not yet have robot maids who can console us after our daily firing from Spacely Sprockets, there have been a number of advancements in home automation technology. Check out these gadgets at Cult of Mac Deals that are sure to streamline your home and get you on the road to one day having your own contraption that’ll automatically put on your clothes for you. Man, that’d be sweet. 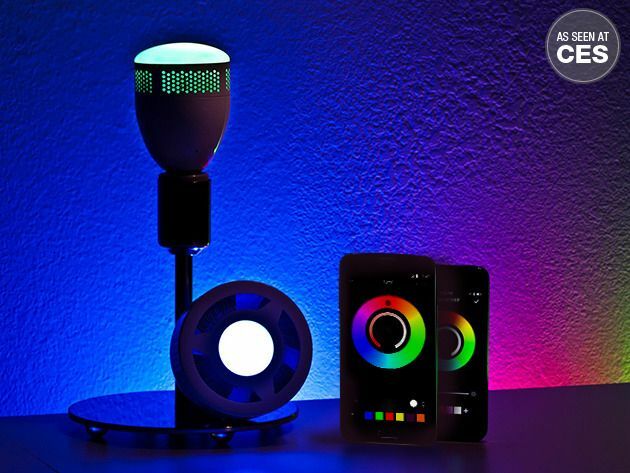 Some may remember the ilumi LED Smartbulb we featured a few months ago that could light a room in any of 16 million colors and included a host of features. Now you can get that same bulb in a larger size. Introducing the large ilumi LED Smartbulb. It has the same features as its little brother. Just pair it to your smartphone via a Bluetooth 4.0 connection to control it with the free downloadable app. Set your ilumi to strobe with the beat of the music, set it to turn on automatically when you are away, or use it as a wake-up light. Best of all, the ilumi is 5 times more energy efficient than a regular incandescent bulb and it lasts for up to 20 years! The ilumi isn’t just a fun purchase, but a smart one too. Get your large sized ilumi LED Smartbulb for $89 with free US shipping at Cult of Mac Deals for a limited time. Also available, the small ilumi LED Smartbulb for just $79 with free shipping. Same great features in a more compact package. 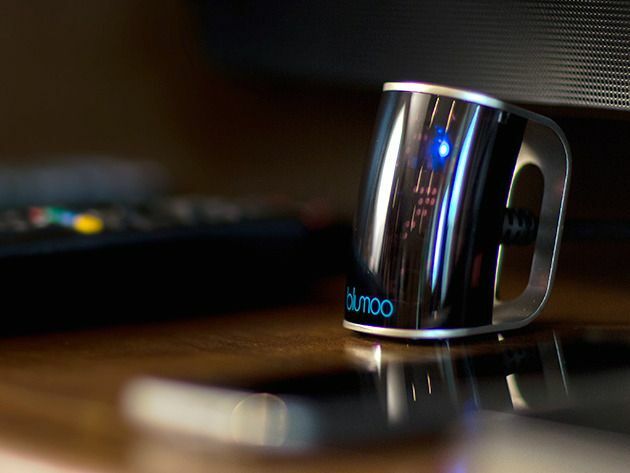 The Blumoo Bluetooth Universal Remote is the perfect solution for the headaches caused by conventional remote controls. A/V Remote controls were supposed to make our lives easier. On the contrary, we waste valuable time looking for lost remotes deep in the seat cushions of our furniture, are constantly swapping out dead batteries, and get baffled when we have to juggle between 3 or 4 remotes. The beautiful Blumoo looks at home near your A/V equipment and connects via Bluetooth to your compatible smartphone or tablet, enabling you to control over 225,000 individual components from your mobile device. Plus, you can stream music to your stereo, upgrade the firmware in your devices, and it’s simple to set up and use. The Blumoo Bluetooth Universal Remote is just $84.99 with free US shipping at Cult of Mac Deals. 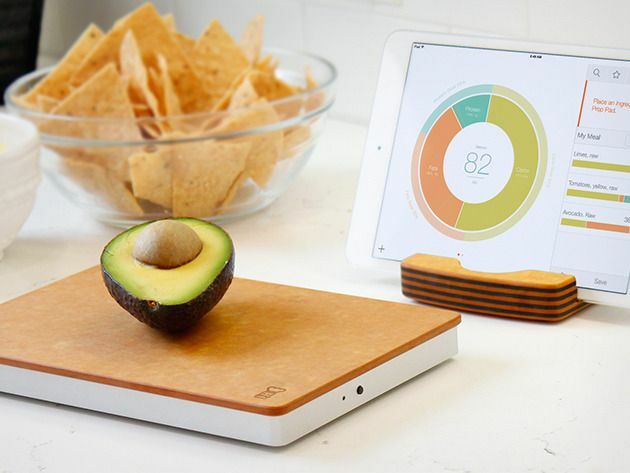 Take healthy eating into the modern era with the Prep Pad. The Prep Pad Smart Food Scale & Nutrition Tracker weighs your food and automatically calculates calories, carbs, protein, fat, and your foods’ other attributes. It has a library of more than 300,000 items, works with home cooked as well as store bought meals, and syncs with Jawbone UP and Apple Healthkit to make sure you stay on track. The ‘Prep Pad’ Smart Food Scale & Nutrition Tracker is $112 with free US shipping from Cult of Mac Deals. 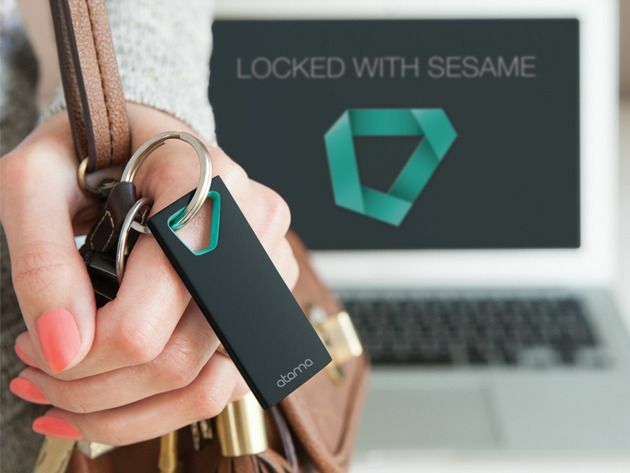 The Sesame 2 Auto-Lock Keychain makes it easy to secure your Mac every single time you walk away from it. A simple, unassuming device, the Sesame 2 fits inconspicuously on your keychain, lanyard, or in your pocket. Keep it on you at all times and, when you leave your Mac, it will automatically lock. When you return, it will automatically unlock and all of your work will be just as you left it. Customizing the parameters of the Sesame 2 is a snap, and it works with a number of Mac computers. See the deal page to find out if yours is compatible. For a limited time only, the Sesame 2 Auto-Lock Keychain for Mac is just $29 with free US shipping at Cult of Mac Deals. Make home security simple with the Foscam wireless security camera. 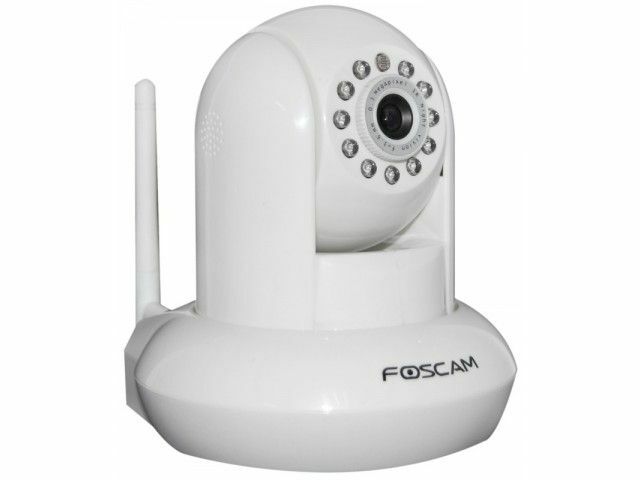 The Foscam is a 1 megapixel security camera that wirelessly connects to your mobile device for easy monitoring. Use it to keep at eye on your baby, pet, or an elderly relative to ensure they are always safe or use it as a home security option to keep your home and valuables protected. It features 2 way audio, 300 degree pan & 120 degree tilt, and IR lights for night vision up to 8 meters. Take the worry out of home security with the Foscam Wireless Security Camera, $86.99 with free US shipping at Cult of Mac Deals.